New Samsung Galaxy S lineup launch is just a few weeks away, and it seems that there will be no secrets to reveal at the event. Leaks are pouring in from everywhere, now we know pretty much everything about all of them. This time around we got official press renders that how the smallest member of the lineup, the S10E. 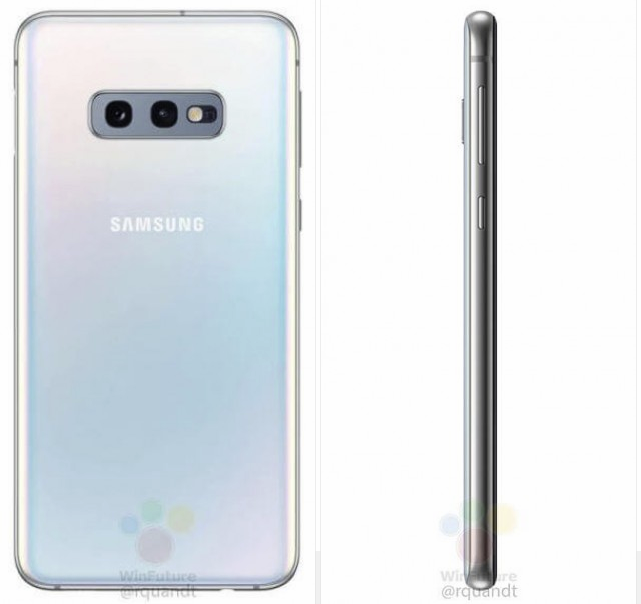 As it was rumored before, the S10E only has a double camera setup on the back as opposed to a triple setup in its two big brothers. Speaking of cameras, the S10E will only have a single front facing sensor, just like the baseline S10. It will also not have an in-display fingerprint scanner. The fingerprint scanner in this phone will be placed in the power button, and if you take a closer look at the images, you can see that the power button in longer, precisely for this reason.